Graphical charts (i.e., bar and candlestick charts) are the most popular method of watching and analyzing a market. Graphical charts provide a variety of trading information (e.g., recent highs, recent lows, the last traded price, etc. ), and are perfect for providing an overview of a market. However, some trading styles (notably some forms of scalping) require more detailed information about a market, and this is where the time and sales become useful. The time and sales are the most detailed display of a market's trading information. The time and sales show every trade that occurs, in real time, and provides a variety of information about each trade (e.g., the exact time, the direction, the number of contracts that were traded, etc.). 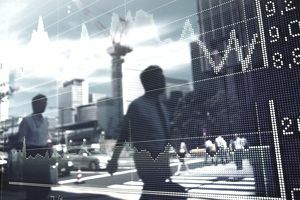 Where graphical charts are used to provide an overview of a market's price movement, the time and sales are used to view every detail of a market's price movement, and therefore the two methods are often complementary to each other. Some time and sales displays also include additional information such as the current bid and asking prices, the order book (or level two information), the cumulative volume, etc., but this additional information is not technically part of the time and sales. The direction element of the time and sales often cause much of the confusion for new traders. The reason for this confusion is that every trade must consist of both a buyer and a seller (otherwise there would be no trade), and if there are both a buyer and a seller, how can a trade be classified as either buying or selling? The answer is that the direction of a trade is decided based on how it affects the current market price. If a trade helps the market price to move up, then the trade is classified as a buying trade. Conversely, if a trade helps the market price to move down, then the trade is classified as a selling trade. The time and sales can be used by traders of any time frame, but it is primarily used by very short-term traders, such as some scalpers. Some traders use the time and sales on its own (i.e., all of their trading decisions are made using only the time and sales), while other traders use the time and sales in combination with graphical charts, or the depth of market (i.e., level two market data). Why Do Traders Think They Need an Edge?